INTERESTING TIDBIT: Elephants can't jump. 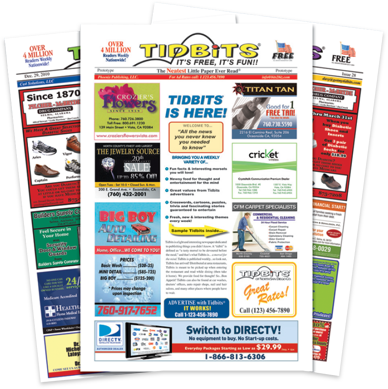 Owning a Tidbits® newspaper publishing operation is an opportunity to achieve your dreams. 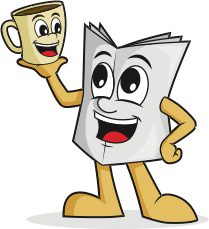 Similar to a newspaper franchise, Tidbits is a National Publishing opportunity without the franchise expense of royalties. You never pay a percentage of your gross revenue to the Corporate Office. While your customers have a cup of coffee you provide the news! Not depressing news but fun, light-hearted news! You work for yourself, work from home and thus you keep your overhead costs low. Financial independence, job security, and a high yield on investment are just a few of the benefits of becoming the owner of an exclusive Tidbits paper. Learn How Tidbits Can Benefit You. When you become a Tidbits Publisher you become part of a strong national brand and you become part of our family. A low startup investment will be primarily dependent upon the population of your market. You deal with only that part of the paper that makes you money – ads. The editorial content of your weekly paper will arrive digitally via the Internet.